A stone of about 135kg was seen to fall after detonations, K.Jimbo, Beitr. Miner. Japan, 1906, (2), p.37, H.A.Ward, Am. J. Sci., 1893, 45, p.153. Analysis, A.Miyashiro, Jap. J. Geol. Geogr., 1962, 33, p.73 (M.A.17-56). Analysis, 27.16% total Fe, H.von Michaelis et al., Earth Planet. Sci. Lett., 1969, 5, p.387. Ni and Ir contents, O.Müller et al., GCA, 1971, 35, p.1121. Uranium content, D.E.Fisher, GCA, 1972, 36, p.15. Bi abundance, P.M.Santoliquido and W.D.Ehmann, GCA, 1972, 36, p.897. Partial INAA, R.A.Schmitt et al., Meteoritics, 1972, 7, p.131. REE abundances, A.Masuda et al., GCA, 1973, 37, p.239. Analysis of Ni, Ga, Ge and Ir in metal and silicate, C.-L.Chou et al., GCA, 1973, 37, p.2159. Tungsten, Co and Mo contents in separates, K.Imamura and M.Honda, GCA, 1976, 40, p.1073. REE abundances, N.M.Evensen et al., GCA, 1978, 42, p.1199. Magnetic properties, T.Nagata, Mem. Nat. Inst. Polar Res., Tokyo, 1979, (12), p.223. Calculation of atmospheric ablation based on cosmic ray tracks and Ne isotopes, N.Bhandari et al., Nucl. Tracks, 1980, 4, p.213. Al-26 activity data, S.Yabuki et al., Meteoritics, 1981, 16, p.406 (abs.). Contains CAIs, A.Bischoff and K.Keil, GCA, 1984, 48, p.693. Mineral analysis data, olivine Fa16.8, orthopyroxene Fs14.8, E.R.D.Scott et al., J. Geophys. Res., 1985, 90 (suppl. ), p.D137. Noble gas data, N.Takaoka et al., Meteoritics, 1985, 20, p.768 (abs.). Halogene concentrations, G.Dreibus et al., International Workshop on Antarctic Meteorites, LPI Tech. Rept., 1986 (No. 86-01), p.35. Mobile trace element data, D.W.Lingner et al., GCA, 1987, 51, p.727. TL data, M.Haq et al., GCA, 1988, 52, p.1679. Major and trace element data, weathering state, G.W.Kallemeyn et al., GCA, 1989, 53, p.2747. Analysis of olivine and kamacite, A.E.Rubin, GCA, 1990, 54, p.1219. Oxygen isotopic composition, R.N.Clayton et al., GCA, 1991, 55, p.2317. 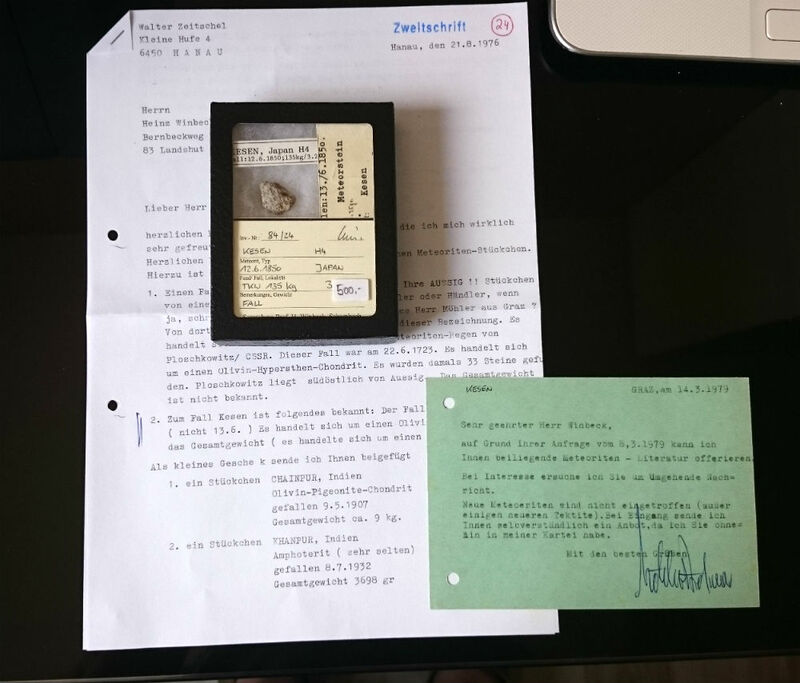 Petrographic shock classification, D.Stöffler et al., GCA, 1991, 55, p.3845. Be-10 data, H.Nagai et al., GCA, 1993, 57, p.3705. Bulk density and porosity, M.Terho et al., Studia Geophysica et Geodaedica, 1993, 37, p.65; see also, D.T.Britt and G.J.Consolmagno, MAPS, 2003, 38, p.1161; S.L.Wilkinson et al., MAPS, 2003, 38, p.1533. 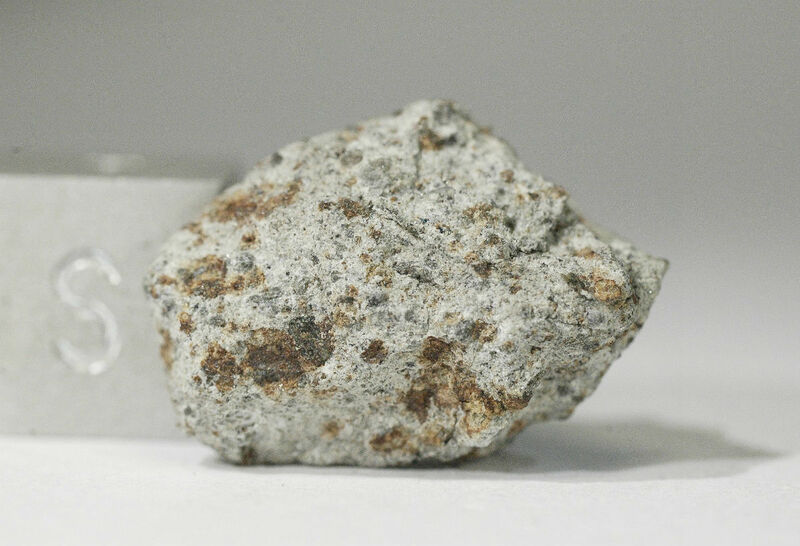 Cu content, A.E.Rubin, Meteoritics, 1994, 29, p.93. Nitrogen and noble gas isotopic composition, K.Hashizume and N.Sugiura, GCA, 1995, 59, p.4057. Spallation track density in merrillite, P.Pellas and C.Fiéni, MAPS, 1996, 31, p.A106 (abs.). Magnetic susceptibility, P.Rochette et al., MAPS, 2003, 38, p.251. Calculation of atmospheric ablation based on depth dependence of 22Ne/21Ne-c, V.A.Alexeev, LPSC, 2003, 34, abs. #1003.